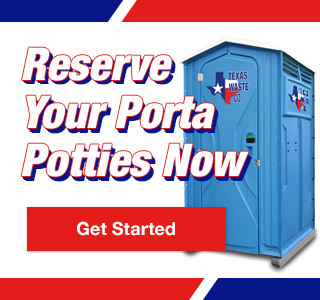 Wedding Porta Potty Rental | Texas Waste Co.
Special events like weddings, family reunions and holiday gatherings often bring large groups of people together at homes built for single families. To avoid a sanitation slip-up, look to Texas Waste Co. for portable restroom and hand wash solutions that will keep your wedding day or family gathering in and around the Greater Houston area comfortable and most importantly – clean. Weddings present a unique sanitation challenge. Your guests will be dressed in their best for the occasion and will expect a clean and classy ceremony and reception. 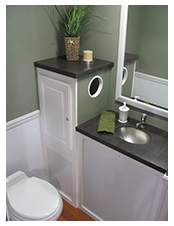 You wouldn’t want just any porta potty or hand wash station present for your special day. You’ll want portable restrooms that are well appointed and sophisticated so that they blend in with the wedding venue. At Texas Waste Co. there is a sanitation alternative to indoor restrooms for every type of event. From weddings and tailgate parties to holiday parties or family reunions, our same day and weekend delivery makes us the number one choice for wedding porta potty rentals or portable restrooms for any event or venue type.